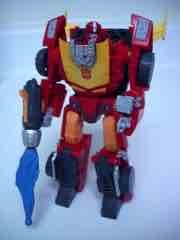 While the Galvatron from the Challenge at Cybertron convention exclusive set was a crime against fun and this hobby, Rodimus (a.k.a. 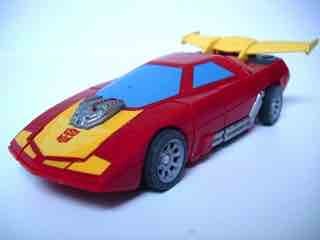 Hot Rod, Rodimus Major, Rodimus Minor, Rodimus Prime, etc.) seems to be slightly better made than his forebears. 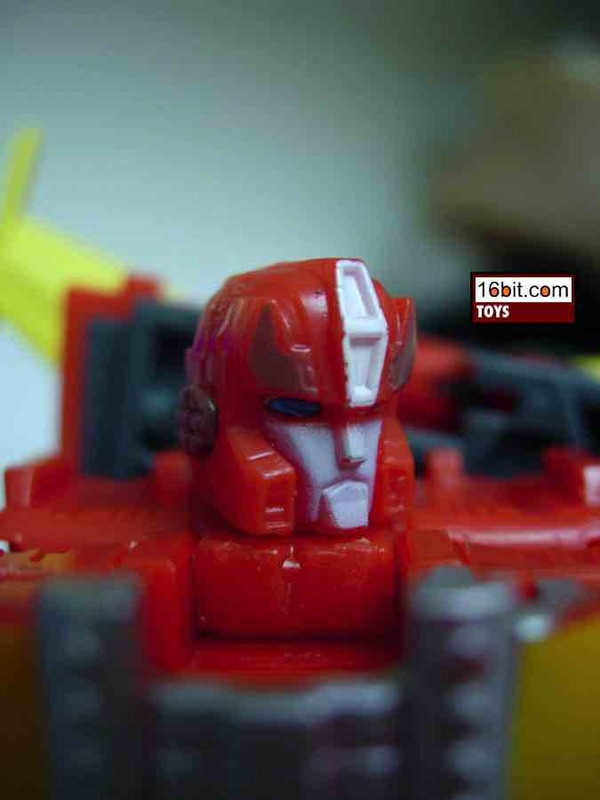 While the original "Classics" release of this mold did at times show stress and tearing, this one (so far) seems to be made from a better, also brighter plastic which can pretty much drive off the forces of evil with its magenta-ness. That's a plus. 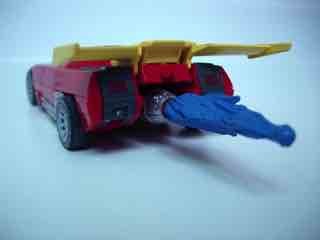 While the panels of the toy don't massage perfectly together in car mode, well, neither did the previous toys to share its construction. 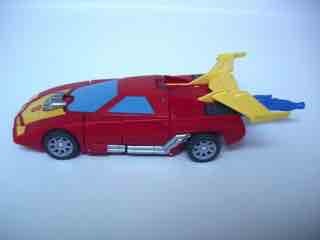 This Rodimus eschews clear plastic entirely, and gives us a red projectile painted blue as well as a red car window painted bright blue. It's oddly charming, but there is a problem: due to being packaged in robot mode, the bright yellow painted spoiler rubs against the windshield, causing the color from one to mark up the other. This is pretty unacceptable for a convention exclusive item. 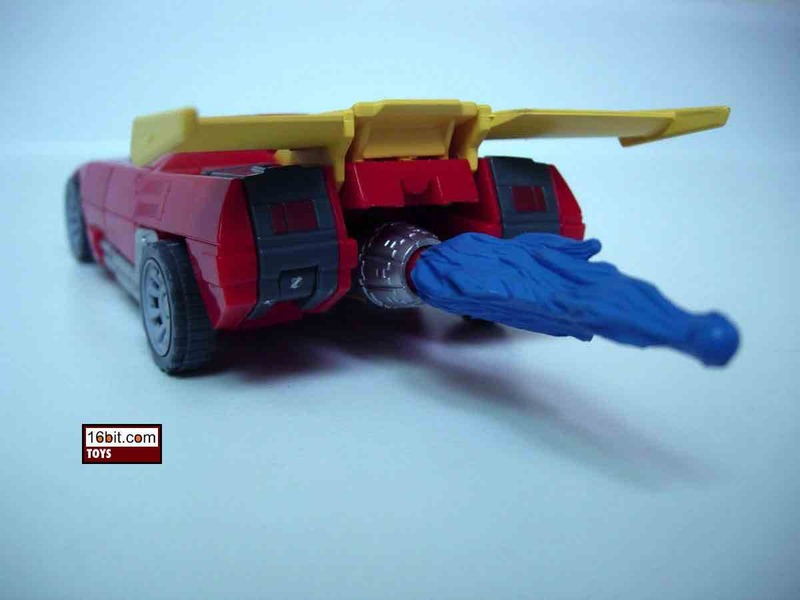 If you leave it in the package or in robot mode, though, it's going to look pretty great. Sure, there's some slop on the silver paint used for his engine, but the hands and communicator are painted grey and stand out nicely. This figure's deco was largely improved and for all your toys-on-shelves needs, this is unquestionably an improvement over its previous release. The mold itself is showing signs of age against Hasbro's increasingly remarkable new releases with even better sculpting and articulation, but you'll see very few figures with a yellow spoiler painted so bright that it would distract you from other toys on the shelf. 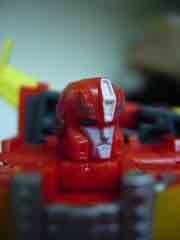 Even his hood is painted so nicely that it seems like a fan-made custom rather than something Hasbro would crank out. 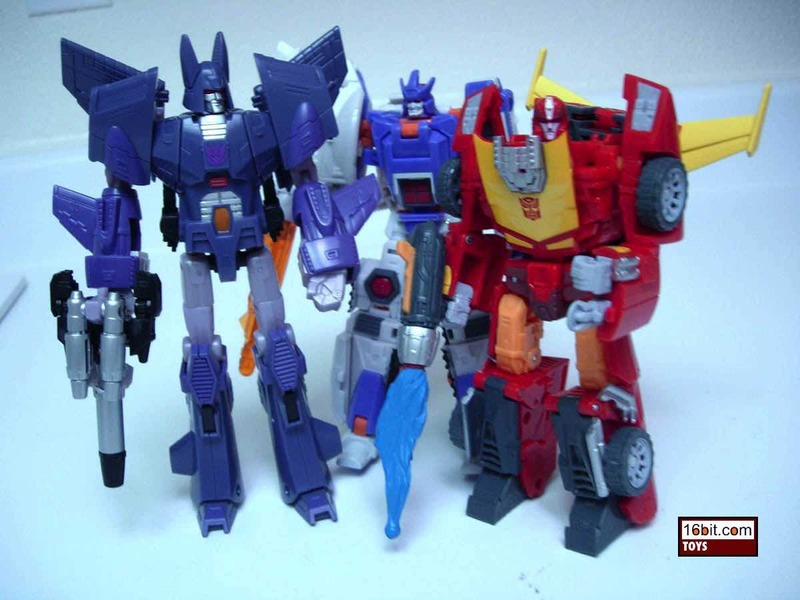 This item will be modified for a US release in late 2010/early 2011 in a 2-pack with Cyclonus. If the deco you want is this, you'll have a low-cost opportunity to grab it quite soon... and for $20 or so, Rodimus and Cylonus are easily worth your funds. 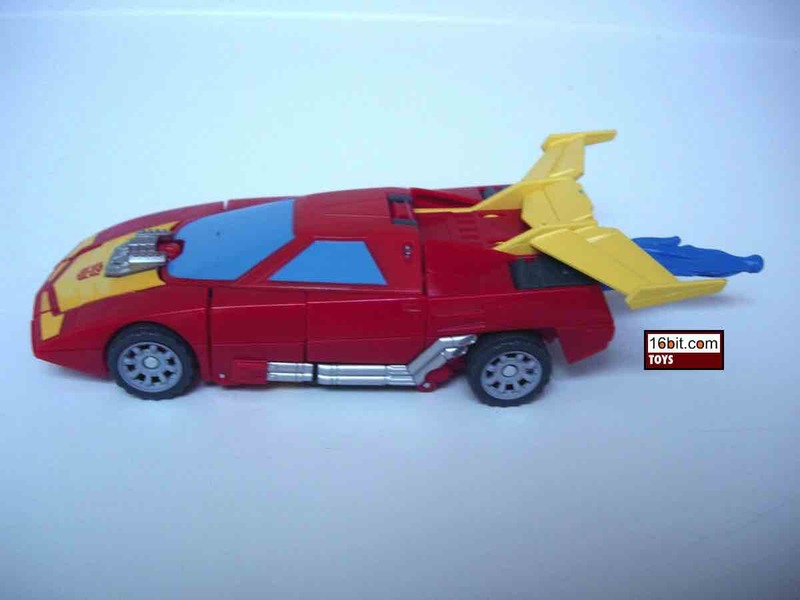 If you're in the distant future and a reportedly better Rodimus exists, though, you might want to go ahead and ignore this one unless you love the colors.